Try this dotted thirds creation. It is sure to improve the look of your publishing paper and your classroom displays. 3. Click on IMAGES and search for a picture that relates to your topic. 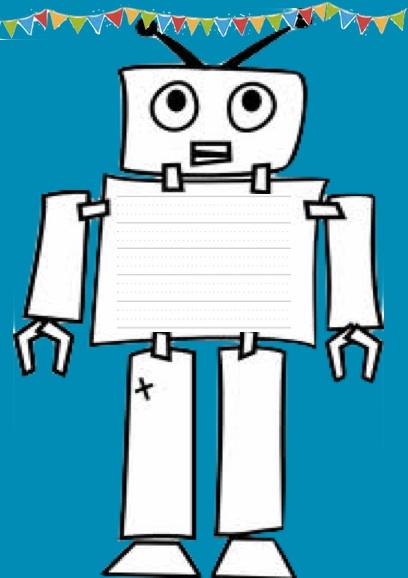 For example, ‘Robot Outline’. 4. Select an image and COPY and PASTE the image into Pages. 5. Open the ‘Dotted Thirds’ document and COPY a section of the lines. 6. PASTE the dotted thirds into the Pages document and adjust accordingly.